The links between English literature and walking are very well known. Many of our greatest literary figures were renowned walkers. Not just the obvious candidates such as Wordsworth and Coleridge, but also Shakespeare (whose plays are full of country lore), Dickens, George Eliot, Mrs Gaskell, George Borrow, John Clare, Jane Austen, Thomas Hardy – the list goes on and on. Many of these and lots of others are celebrated in Kim Taplin’s beautiful book The English Path, first published in 1979, which I’ve been re-reading. It’s long been a favourite of mine. 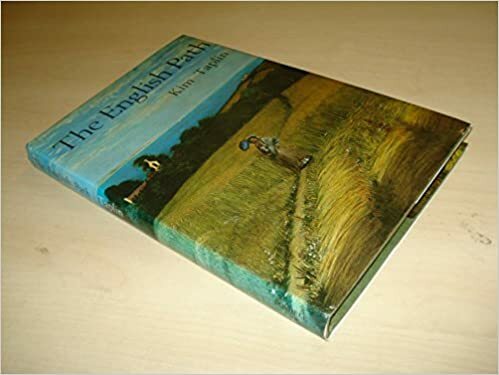 In its pages, Kim Taplin, looks at the way that crossing over the stile and following a path – which the Victorian country chronicler Richard Jefferies says we should always do – has shaped so much of our literature. We are taken out in the steps of so many great and not a few lesser-known authors as they step out into the countryside. Kim Taplin also examines the importance of our paths for their own sake, arguing – as I try to do on this blog and elsewhere – that our precious network of rights of way is culturally and historically important. Kim Taplin looks at how these writings inspired people to explore the countryside on foot, perhaps encouraging the creation of the Victorian (and later) rambling clubs. 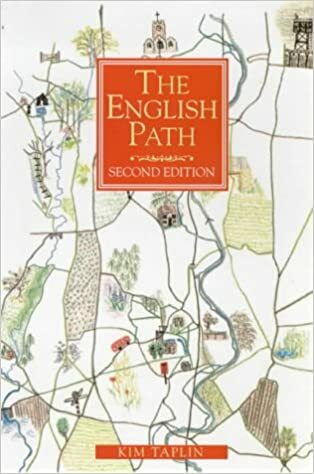 How the paths eventually became the moral property of us all and not just the well-to-do, as the working class used their few and precious hours of leisure to get out into our countryside. Here are the vagabonds, the outlaws, as well as the honest travellers – all inspiring some of our greatest literary works. Kim Taplin looks at the great naturalist writers – Gilbert White, Richard Jefferies and W.H. Hudson, as well as the literary figures who used illicit paths to penetrate places forbidden and out of bounds. Here you will find the literary inspiration for a thousand trespasses and the whole issue of land rights and reform. This beautiful book, handsomely illustrated, is scandalously out of print, though it’s not difficult to find in second-hand bookshops and online book suppliers. If you love walking in the countryside do read it. A most pleasant volume for the bedside or in the reflective hours after you’ve been out walking. A copy of Taplin’s book is found and ordered! I’ll email Kim to have a look at this, I am sure she’ll be pleased. Do give her my regards. I do hope a publisher might bring her book into print. Kim says many thanks, she was pleased to read this.